Ninkasi Brewing Company is launching its own brand of hard seltzer. 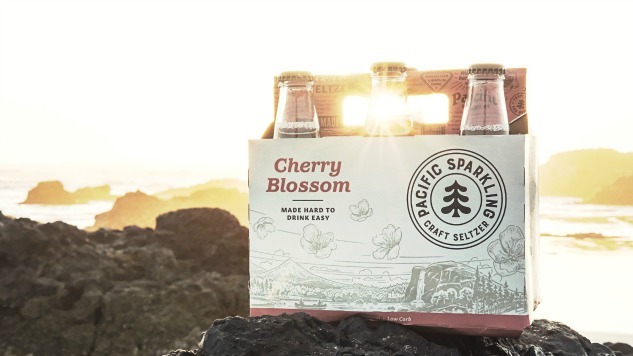 Rather than selling it under the Ninkasi name, the new line will be called Pacific Sparkling, an homage of sorts to the Pacific Northwest which the company says inspired the line. The seltzer’s flagship flavors will be Cucumber Mint and Cherry Blossom, both of which will be available in 6-pack locations around the west starting this spring. “What makes this hard seltzer unique is that it’s handcrafted and brewed just like a craft beer,” says Ninkasi CEO and co-founder, Nikos Ridge. Ridge says that the company launched a new brand for the seltzer as a matter of focus. You can learn more about Pacific Sparkling on the line’s dedicated website here.